On an episode of the Showtime series Homeland, terrorists assassinated the vice president by hacking into his pacemaker. While this has never happened in real life, can this kind of activity be far off? Hundreds of thousands of medical devices are currently in use, and that number is expanding, along with potential vulnerabilities. 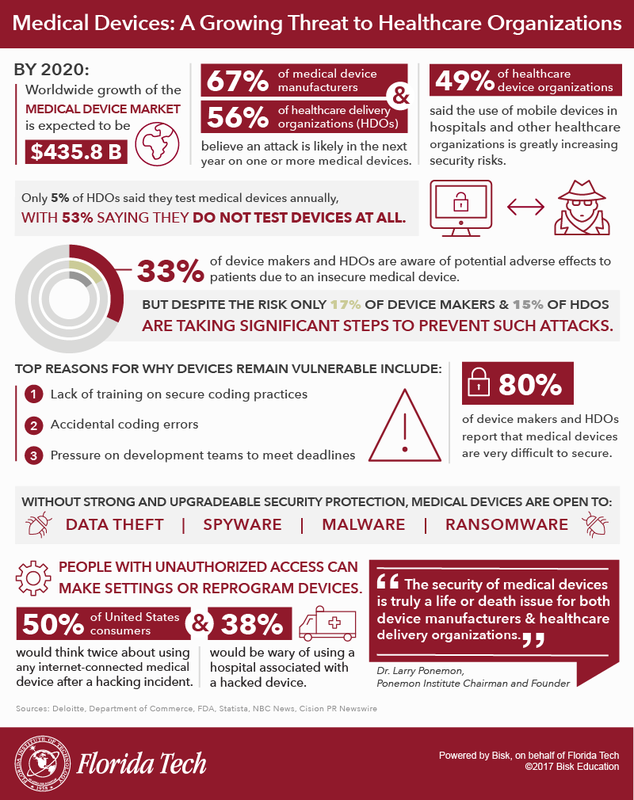 Check out this infographic on the rise of cyber threats in medical devices.